I very much like COQH-CF by Allergy Research Group. I have felt measurably better since taking it. 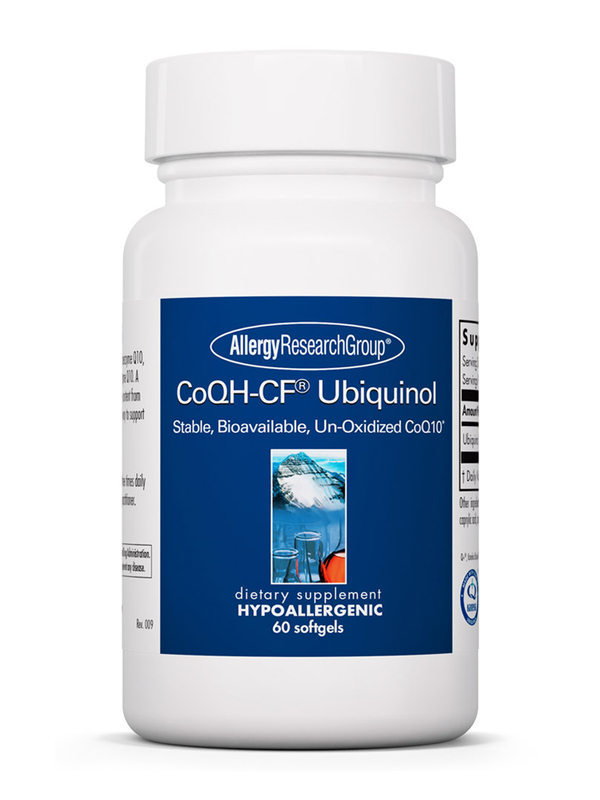 COQH-CF BY Allergy Research Group hs great Quality price and fast free delivery. Couldnt ask for anything more. I was so happy to find that PureFormulas carry COQH-CF by Allergy Research Group. I have been paying twice the price at another site. 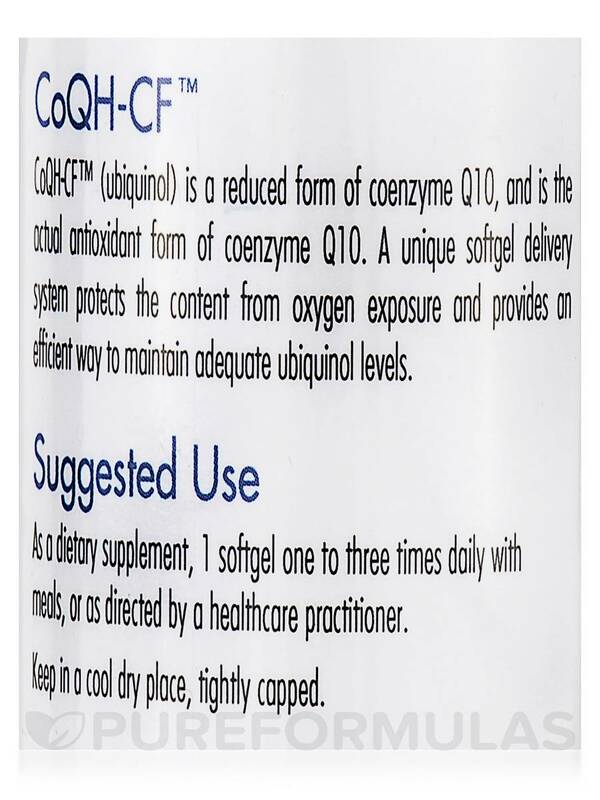 CoQH-CF™ by Allergy Research Group is a good source of coenzyme Q10 (CoQ10)‚ which is a natural substance that may support general health in several ways. First‚ CoQ10 may work to convert the food you eat into energy by helping the mitochondria in your cells produce ATP (adenosine triphosphate). ATP is a molecule that may fuel muscle contraction‚ transmission of nerve impulses‚ and other bodily important functions. Additionally‚ the CoQ10 in CoQH-CF™ may also have antioxidant properties. 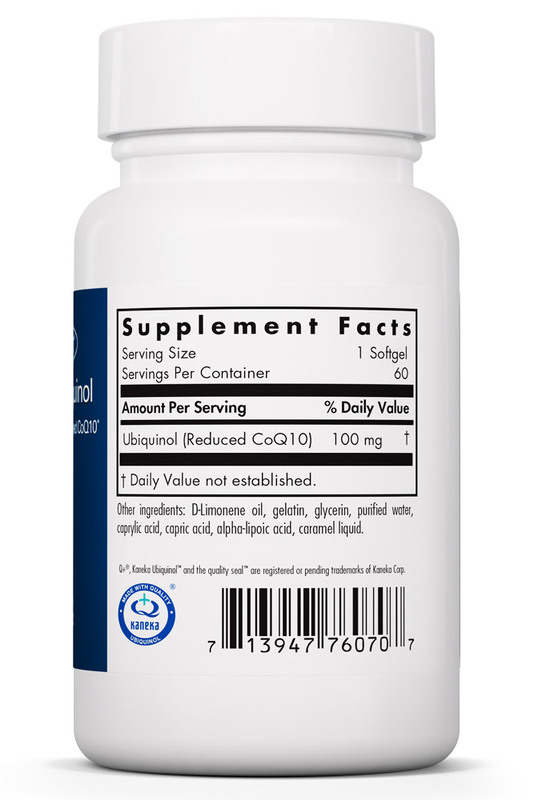 As a result‚ this supplement might work to fight off potentially harmful free radicals and protect cellular membranes. Unfortunately‚ natural CoQ10 production may decline as you get older; this decline may contribute to symptoms such as mild fatigue. For that reason‚ every CoQH-CF™ softgel contains 100 milligrams of ubiquinol QH. 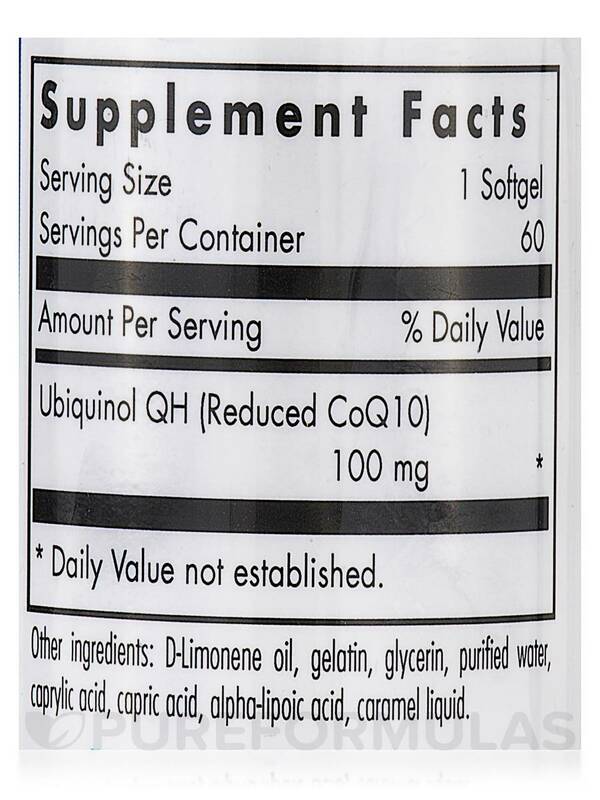 Ubiquinol is the active form of CoQ10 that’s your body produces‚ which is why this product may be more bioavailable (easily absorbed) than some other CoQ10 supplements. Take one softgel capsule one to three times daily. Each 60-softgel bottle of Allergy Research Group’s CoQH-CF™ should last for up to two months at the standard dosage. Other ingredients: D-limonene oil‚ gelatin‚ glycerin‚ water‚ caprylic acid‚ capric acid‚ alpha-lipoic acid‚ caramel liquid. Suggested Use: As a dietary supplement‚ 1 softgel one to three times daily with meals‚ or as directed by a healthcare practitioner. What does reduced CoQ10 mean? Not actually 100 mg? Please clarify and thank you. Hello Kathleen, thank you for contacting PureFormulas. CoQ10 or Coenzyme Q10 is another name for Ubiquinone. Your body converts Ubiquinone into its active form Ubiquinol (reduced form of CoQ10) to be used for its many benefits. 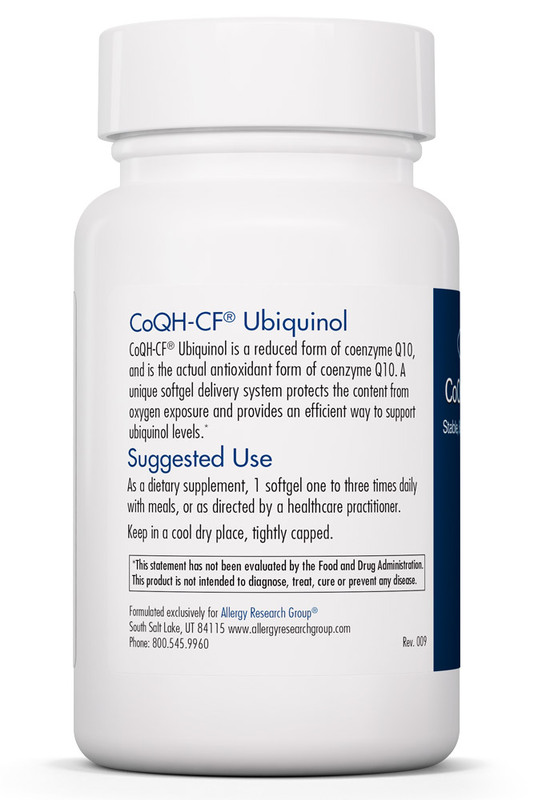 COQH-CF contains 100mg of Ubiquinol.